Fevzi Turkalp, the Gadget Detective, joins Howard Hughes on BBC Radio Berkshire to discuss the latest technology news. This week; Russia Military has admitted to a significant cyberwar effort, but who did they target and what were their aims? Plus how a marathon runner was caught cheating by her GPS sports tracker. 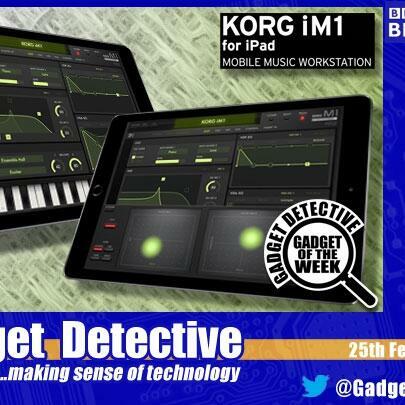 The Gadget of the Week is the Korg iM1 synth app for iPad. A fully fledged portable version of the iconic Korg M1 synthesizer . Offering thousands of sounds plus features not even on the original keyboard, all at a bargain price, this will be of interest to any musician on the go.